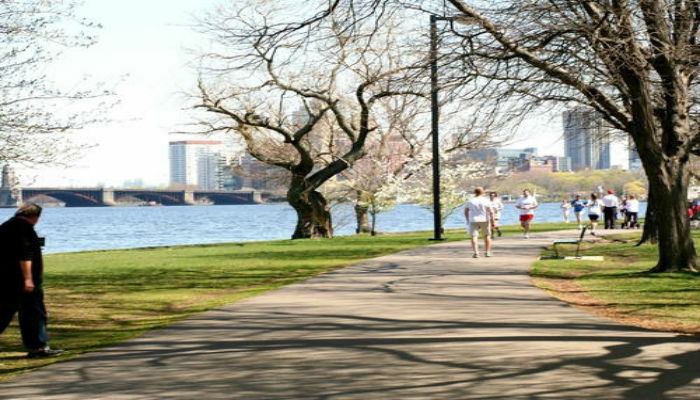 Running in Boston, MA: Best routes and places to run in Boston. 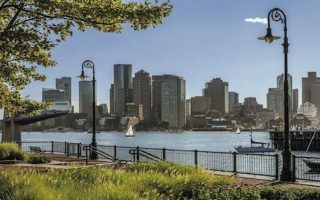 Boston is one of the world’s great running cities, featuring a great deal of variety within a small geographic footprint. 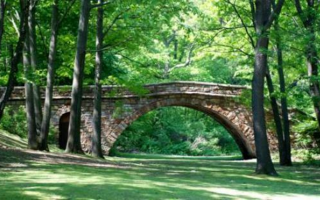 Some of the most famous city runs in the world are located in Boston, from the Charles River Paths to the greenery and majesty of the Olmsted-designed Emerald Necklace. There are also some spectacular runs along the waterfront, which has become much more accessible to the public over the years. This is our guide to the best places to run in Boston, as well as some suburbs and historic sections. 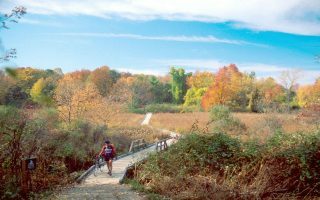 For more fantastic runs in the Boston area, see our guides to Boston’s North Shore and South Shore. 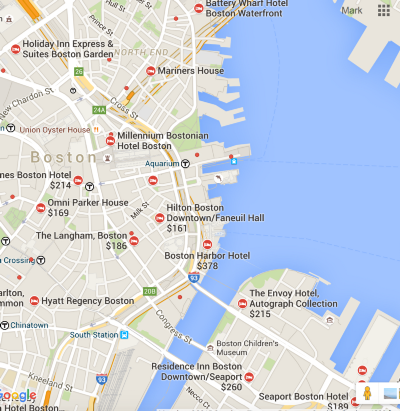 Boston is quite compact. 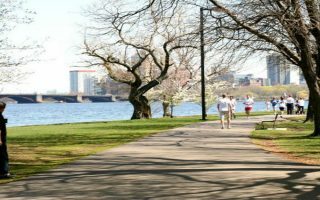 Staying downtown in Back Bay or the financial district, or on the other side of the river in Cambridge will provide good access to running on the Charles River paths and some of the historic sections of Boston. The burgeoning Seaport area, which is the convention center is located, has some great running along the water. Boston’s transportation system, called “The T” is good but a little old and creaky. The downtown area is well served by subway lines, while commuter rail heads out to suburbs north, south, and west. One of the most famous runs in the country. Run all the way from downtown to Newton! Sections on the Boston side and Cambridge side, with numerous bridges along the way, allowing for great loops. As a result of the Big Dig project and development of the Seaport district, it's possible to run about 16 miles from Charlestown to Quincy, about 80% of it really pleasant along the water. In the 1980s, the old orange line trolley was put underground. 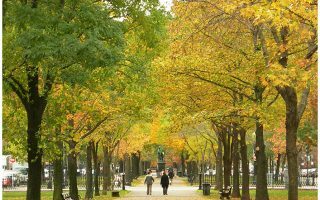 The result is a beautiful running path that starts in the heart of Back Bay and continues all the way to Forest Hills, 4 miles one-way. 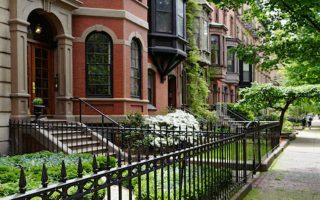 A great tour of Boston's Back Bay. Includes the Commonwealth Ave. Mall, Public Garden, State House, and a jaunt along the river. Captures so much of Boston in one run! 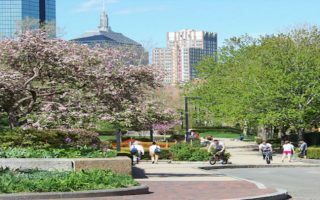 A tour of Boston's lovely South End, which is easily accessible from Back Bay or downtown hotels. 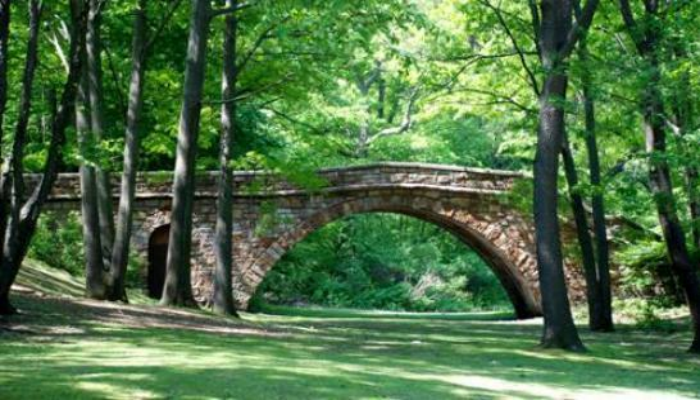 Brownstone lined streets, pleasant, historic squares and parks, and main streets lined with restaurants and boutiques. Another classic run that includes Boston's history and the water. 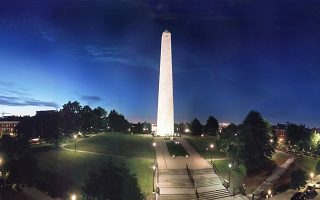 Run up to the Bunker Hill Monument, and then enjoy the Harborwalk past the USS Constitution and along the water. Near downtown and river paths. 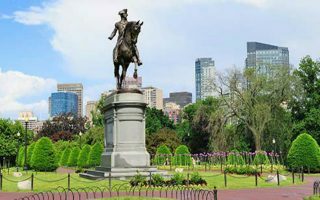 The Freedom Trail is a 3-mile route around the city of Boston and Charlestown, that marks some of Boston’s most famous historic landmarks. Don't despair if stuck at the airport or one of its hotels! 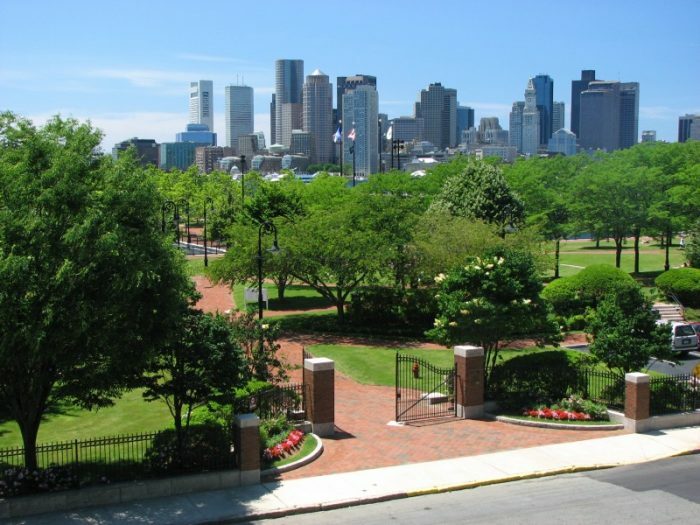 Fabulous running along the water, great skyline views, parks, and the East Boston Greenway. Even worth taking the T from downtown for this run. The Boston Harbor Islands National Park features 34 islands and 35 miles of undeveloped shoreline. 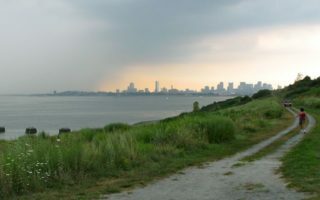 Spectacle Island is the most run-able, with 5 miles of trails. Deer Island, accessible by land, has a 2.6 mile path with great views. 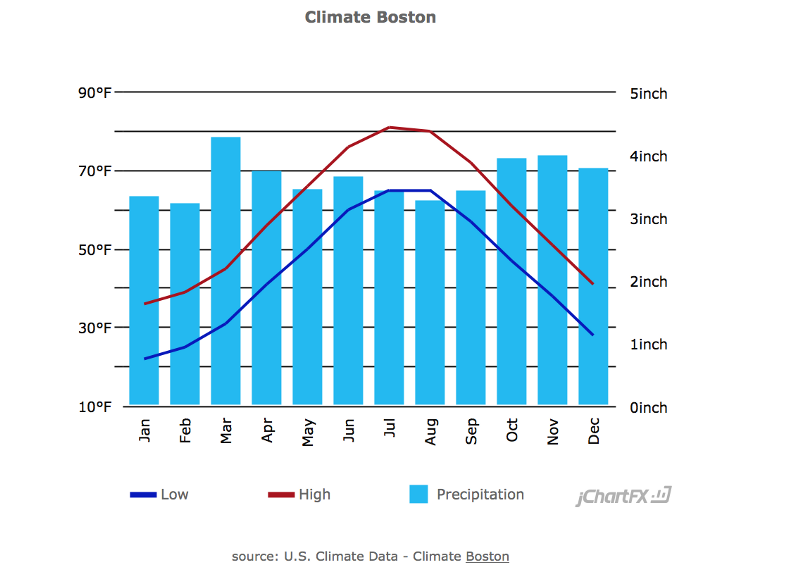 Boston’s climate is influenced by the ocean. Summers are warm to hot, and it can be humid. Autumn is gorgeous. Winter can be harsh, with 45 inches average snowfall — but many storms in the winter change from snow to rain due to the ocean effect. You have to be careful in spring, as northeast winds can keep the weather cool and damp. 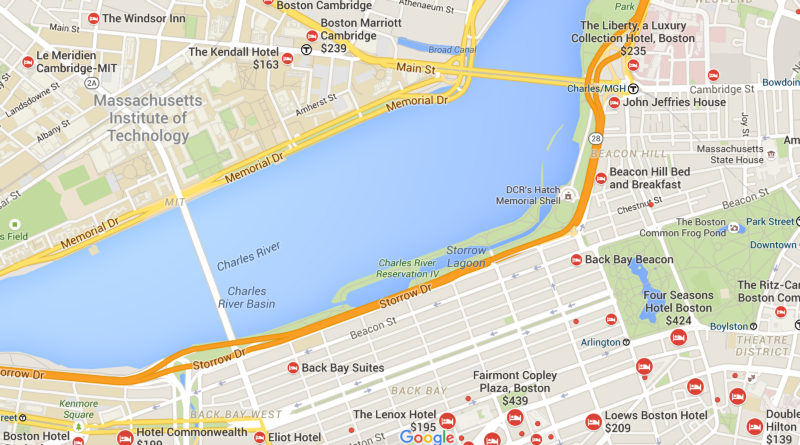 If you want to be within a mile of the Charles River paths, the best place to stay is in Back Bay or on the Cambridge side of the path. 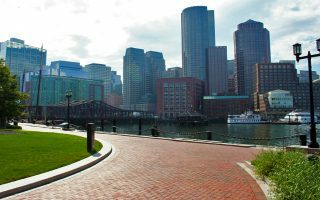 If you want to be near the waterfront paths, you can stay in the Financial District, near North Station and Charlestown (which also place you near the river paths) or some of the newer hotels in the Seaport area. Here is a guide to independent running stores in the Boston area, within proximity to the iconic routes. The ‘gran daddy’ of Boston running stores is Marathon Sports, which has a location right near the finish line of the Boston Marathon, plus seven other stores in the area. Marathon Sports. The best running stores in Boston. Location in Back Bay, which is also has an Adidas Marathon runBase co-located. Also in Cambridge, Brookline, and suburbs. New Balance Store. Good selection, located in Back Bay. Finish Line. Running and apparel store in Cambridge near river, and inside Macy’s in the financial district. South End Athletic Company. Small store, knowledgeable staff, a little off the beaten track. If you’d like to connect with some group runs in Boston, here are some good options. Nike Boston has various group runs throughout the week. Details here. South End Athletic Company has group runs at 6:30 p.m. Thursdays and longer ones Saturday at 10:00 am. City Running Tours Boston has a huge number of group runs, with various touristy and fun themes, for a fee. They can also be booked for customized individual and small group runs. CommunityIf you’d like to connect with some group runs in Boston, here are some good options.